At this rate I am sick and tired of reporting on Federal Criminal Illegal Aliens who continue to commit horrendous crimes against Americans inside of our country. They don't belong here, I want them out, and they have to go back. Now we have another Federal Criminal Illegal Alien who school district officials said killed 14-year-old female student Rhyan Moody in a car crash on Thanksgiving night in Lake Worth, a suburb of Fort Worth. Her family said the crash was caused by a suspected drunken driver, but now the details are coming in that the suspect was in fact, a Federal Criminal Illegal Alien. <a href="http://www.fox4news.com/news/14-year-old-colleyville-heritage-student-killed-in-crash">FOX 4 Dallas</a> confirmed that the Federal Criminal Illegal Alien was none other than 38-year-old Jose Victor Chaparro-Saenz at the scene. He was charged with manslaughter, two counts of aggravated assault with a deadly weapon and resisting arrest. According to investigators, Chaparro-Saenz allegedly ran a red light while driving at an extreme rate of speed when he slammed into the back of the car Moody was riding in. Two other people in the car were hurt. 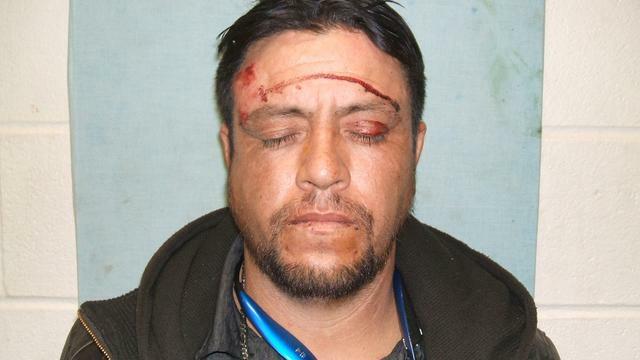 First responders who arrived to the scene found alcohol in the Chaparro-Saenz’s SUV, and also said that he appeared highly intoxicated. Police said he could face additional charges in the case pending the outcome of the investigation into the accident. “He rolled up the window on officers and wouldn't get out of the vehicle had to break out the glass got the door unlocked he tried to fight them, fight the officers they got him out of the vehicle got him handcuffed at the scene,” said Lake Worth PD Chief Corry Blount. The United States Department of Immigration and Customs Enforcement also has an immigration hold on Chaparro-Saenz, so he has no bond for the murder of the innocent teenage girl. Her entire life has now been cut short, at the hands of a Federal Criminal Illegal Alien who never should have been in America to begin with. Such is becoming a repeated headline, with countless tales of crimes being committed by these animals who don't belong in the first place. Mr. President, Congress, the American people; get the the hell out of my country and build the wall.